Located just 10 miles away from one of our convenient facilities, the pros at Coast Valley Moving & Storage Inc. are experts when it comes to moving in Ladera Ranch. This beautiful community of nine “villages” is located south of Orange County and adjacent to Mission Viejo, Rancho Santa Margarita and San Juan Capistrano. You get all the benefits of quiet suburban living with urban amenities only a short distance away—it’s no wonder so many people want to call Ladera Ranch home. When you’re planning a move in the Ladera Ranch area, it’s important that you work with moving professionals that you can rely on. 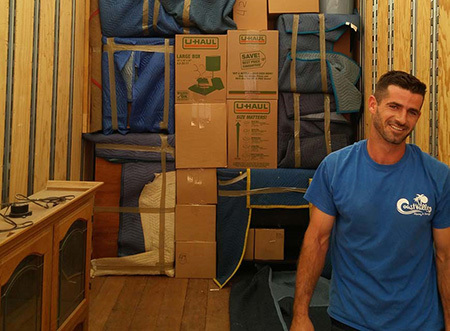 For more than 40 years, the experts of Coast Valley Moving & Storage Inc. have been helping residents and businesses throughout California with all of their relocation needs. With the help of Wheaton World Wide Moving, we can help tackle virtually any residential, commercial, or specialized move with ease. No matter where in the world you need to go, Coast Valley’s household moving company can get you there, quickly and efficiently. As an agent of Wheaton World Wide Moving, we have the support, equipment and resources that make moving your household a breeze. To further ensure your complete satisfaction with your move experience, we always pair you with a personal Move Coordinator, there to help you navigate every step of your transition. After more than four decades in the industry, the Coast Valley team knows that storage solutions are often an essential part or nearly any move. If you’re in need of comprehensive, affordable storage before, during or after your relocation, contact us today! We can provide you with more information about our safe and secure storage solutions, as well as details about any of our other valuable services. Speak to one of our helpful representatives or fill out our quick online form to receive your FREE, no-obligation estimate today!